The first transatlantic broadband submarine cable in the southern hemisphere, the South Atlantic Cable System (Sacs), will begin carrying its first commercial traffic within the next three months, providing a more direct and lower-latency route between South Africa — and other African markets — and the US. In a podcast interview with TechCentral on Thursday, António Nunes, the CEO of Luanda-based Angola Cables — the main backer of the Sacs cable — said the system has been built and testing has begun. 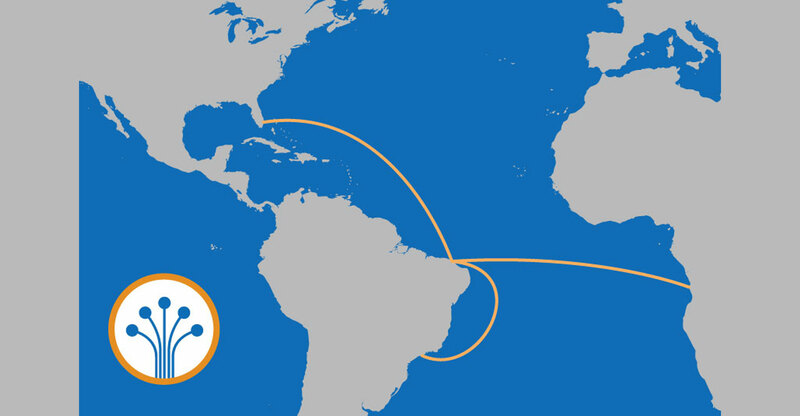 The 6 300km Sacs cable, which has a design capacity of 40Tbit/s using 100Gbit/s dense wave-division multiplexing technology and is made up of four fibre pairs, connects Luanda in Angola to Fortaleza in Brazil. From there, it connects to the 10 000km-plus Monet cable, which runs between Miami in the US and São Paulo in Brazil. Nunes said the new route will slash latency — or network round-trip round times — between Africa and Brazil and Africa and the US. Until now, Internet traffic between Brazil and South Africa, for example, had to traverse Europe, cross the north Atlantic to the US and then hop onto cable systems linking South America. “A lot of software and systems that are latency dependent will be using this connectivity,” he said. The new route will offer the lowest latency between South America and Asia via other systems in the Indian Ocean. There will also be a ring in the Atlantic Ocean, providing an alternative route to the northern transatlantic systems. He said Angola Cables is not concerned about cable systems that are also in development that will connect South Africa with Brazil and the US. America’s Seaborn Networks is planning a similar system called SABR, while a South Africa consortium is working to build a system called SAex.